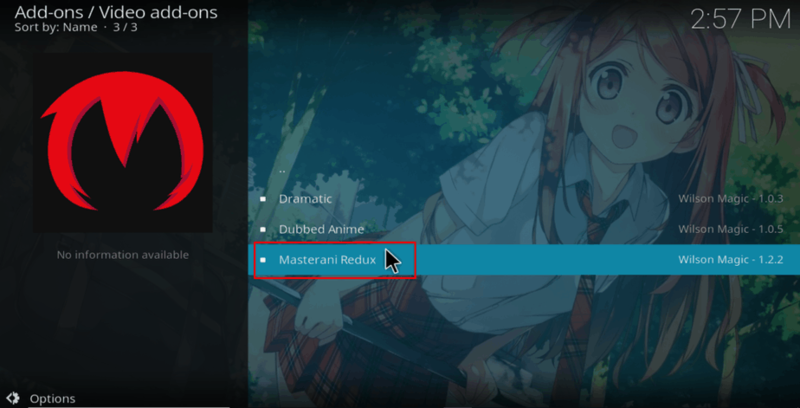 Masterani Redux is a superb addon that you should have if you love watching anime. The addon has been developed by Wilson Magic; is an amalgamation of two famous anime addons, Masterani and Anime Incursion. Masterani Redux is an improvement of these two addons, and you will like it. It has an extensive collection of anime that you can easily explore and watch thanks to its great interface. 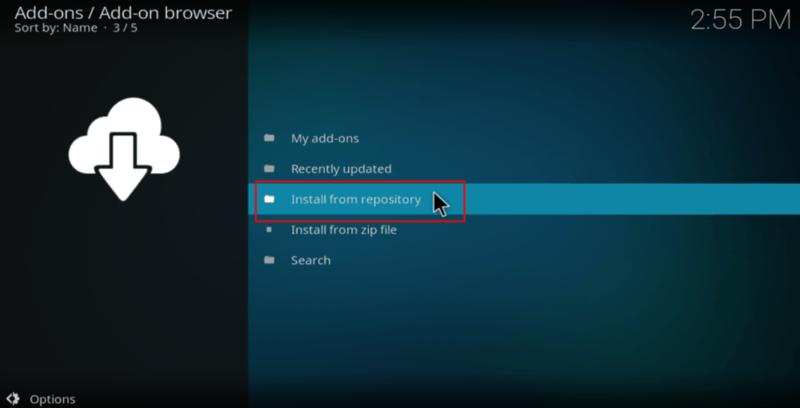 This guide shows you How to Install Masterani Redux Kodi Addon in a just a few minutes. 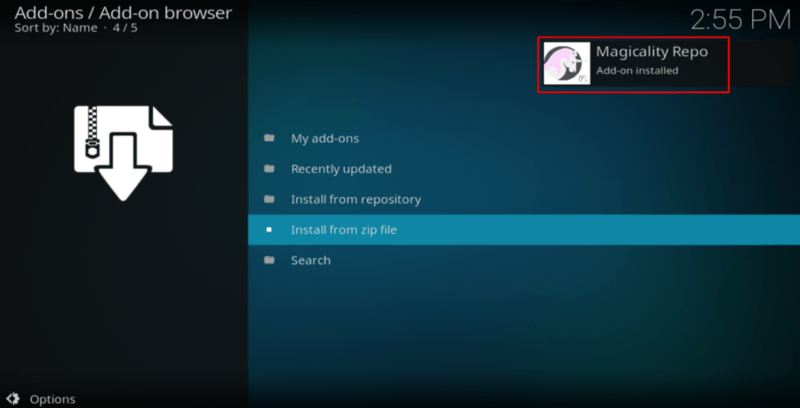 Masterani Redux is a third-party Kodi addon, and it’s therefore not supported by the official Kodi repository. The addon scrapes for links from various websites; so the developer doesn’t own any of the content. This means that most of the links you’ll get are not legal; therefore can land you in trouble. ISPs and governments are always tracking your online activities; they always know when you stream illegal content. You don’t want to end up with a DMCA notice or face legal charges for copyright violation; so we advise you to use a VPN. The best VPN for Kodi at the moment is IPVanish. The VPN encrypts your traffic with the best standards; also gives you a huge server network to choose where you want redirect your traffic. IPVanish is also super-fast and it works with most streaming services, including Netflix! When connected to the VPN, you won’t have to worry; your identity, online activities, data security, ISP throttling, or even geo-restrictions are safe. 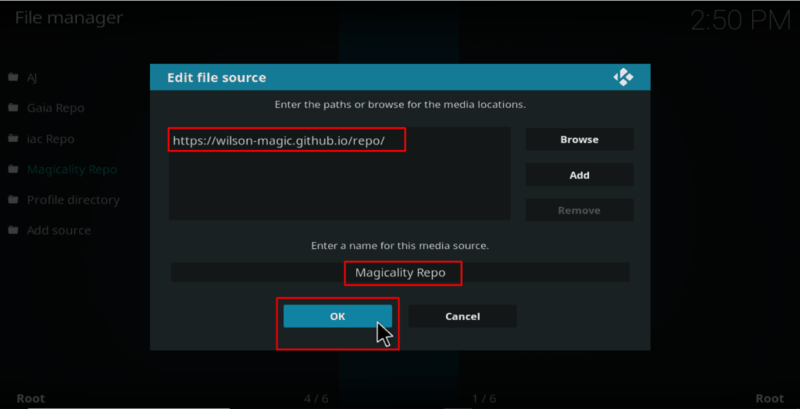 Masterani redux is hosted in the Magicality repo which is on GitHub. Since it’s a third-party repo, we first need to enable “unknown sources.” If you have already done so, you can skip this step. Then, click Addons from the side menu. 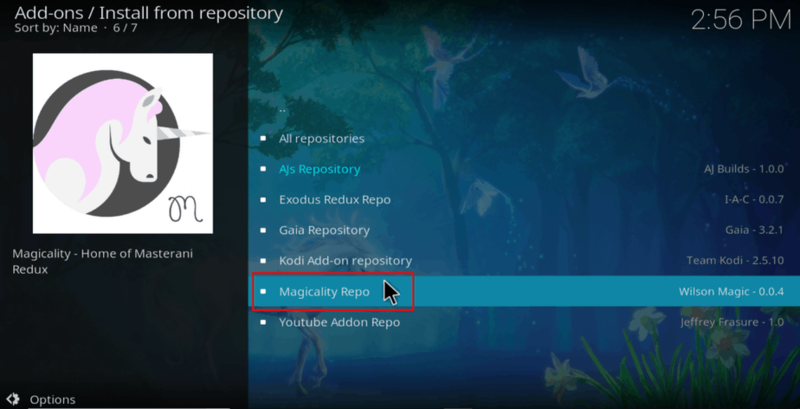 From there we can now install Magicality repo and Masterani Redux Kodi addon. To make the process simpler, we have divided the process into parts and added screenshots. Type the URL https://wilson-magic.github.io/repo/ into the window that opens. 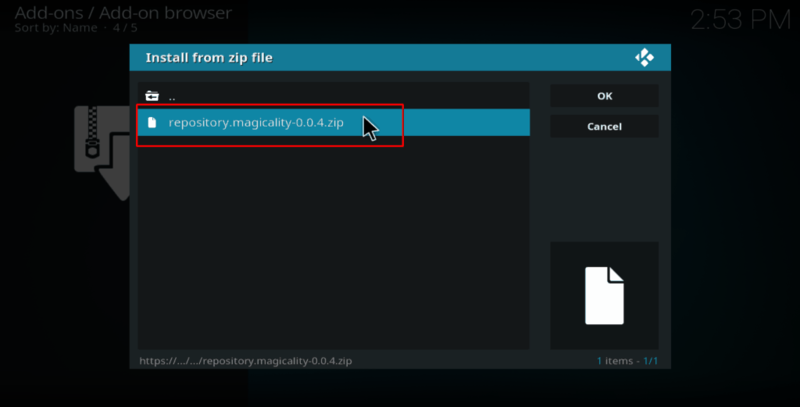 Below that, name it as “Magicality Repo” You can then click “OK”. 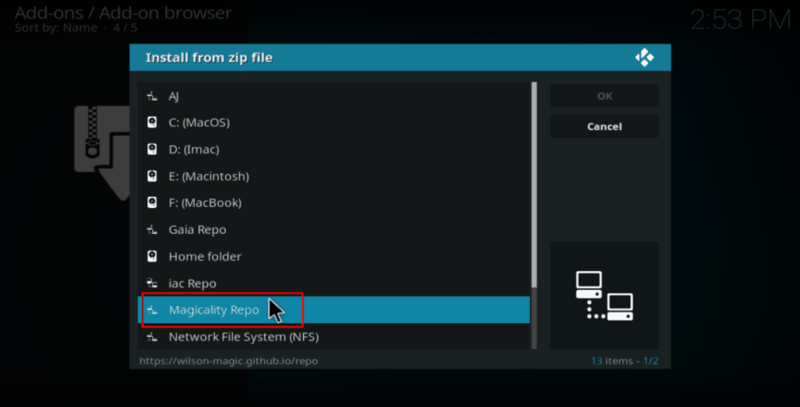 Magicality Repo should now install. Wait till the installation is complete. You will get a notification. Select “Video Add-ons” and then scroll down to Masterani Redux and then click it. 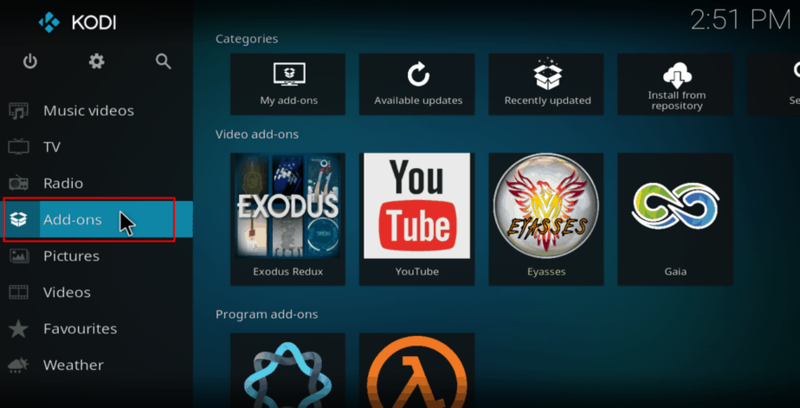 Masterani Redux Kodi Addon will now install. You will get a notification when it’s ready to use. Masterani Redux gives you an option to choose between original language with English subtitles or dubbed audio in English. 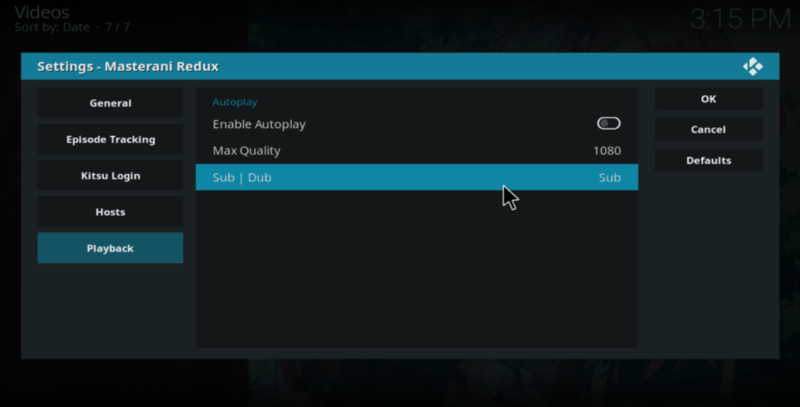 Select the Playbacktab and change Sub | Dub according to your preference. 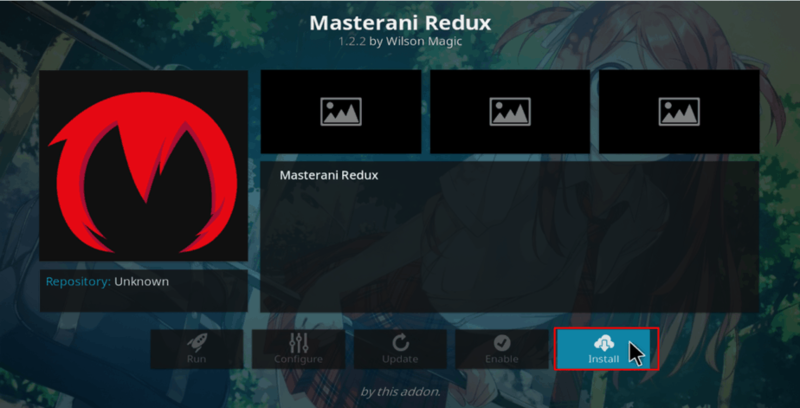 Now that you know How to Install Masterani Redux Kodi Addon, go ahead and enjoy your favorite anime! 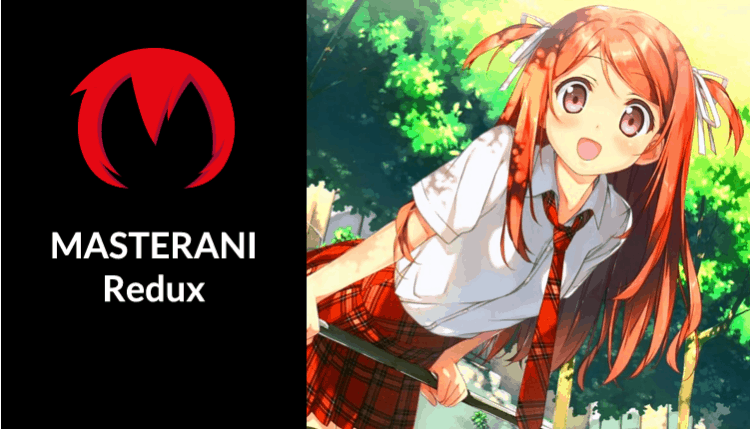 Masterani Redux is a Masterani and Anime addons junction. In this tutorial you’ve learned How to Install Masterani Redux Kodi Addon, and Choose between dubbed or subbed anime. 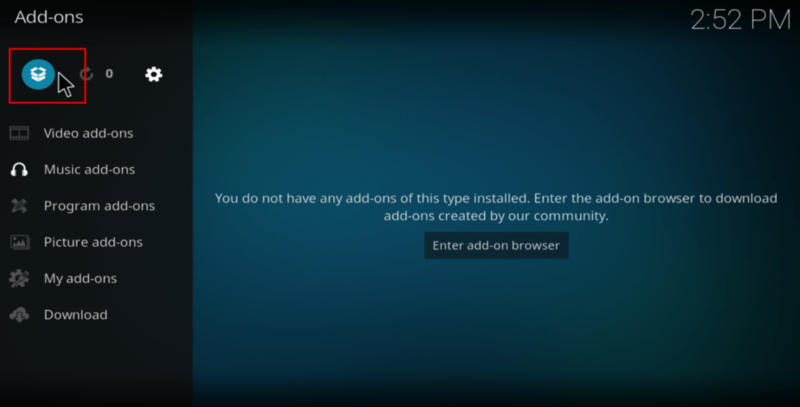 Because this is a third-party Kodi addon, you may end up accessing content illegally, even without noticed it. Remember to turn on your VPN before you stream anything; IPVanish is the VPN we recommend for streaming as well for all your internet activities. 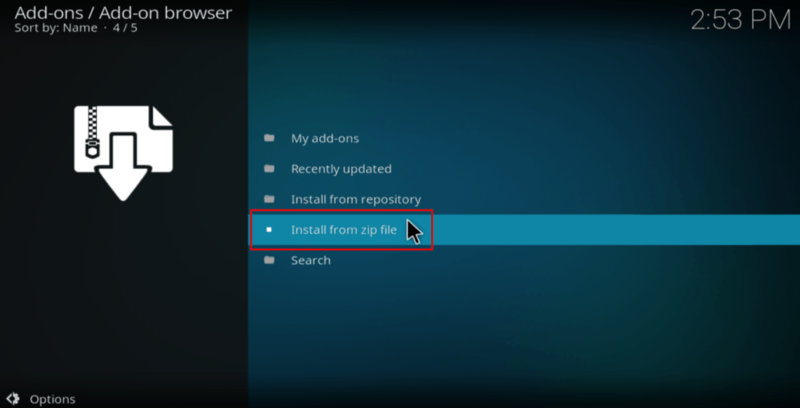 Hope this tutorial on How to Install Masterani Redux Kodi Addon, helped you watching godd Anime contents.